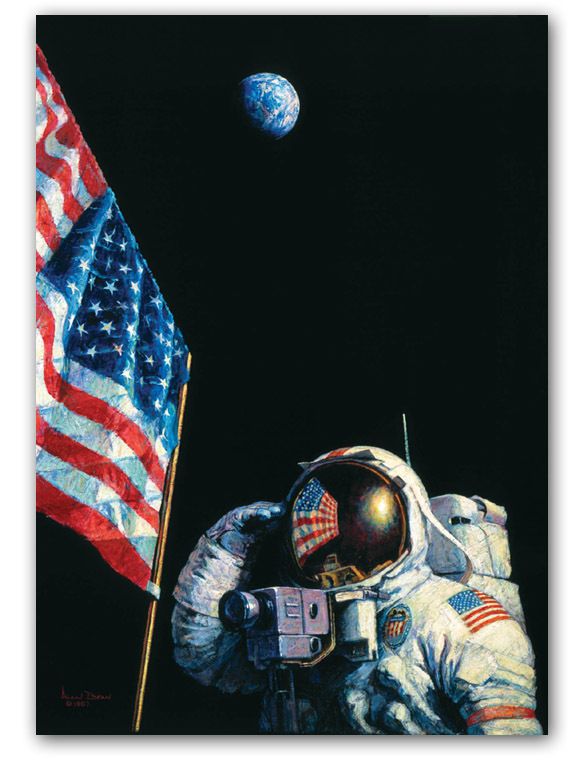 “An American Success Story shows Astronaut John Young in April of 1972 as he stood proudly on the moon,” says artist Alan Bean,“but for a while, it didn’t look like he and Charlie Duke would even land. Orbiting the moon in their lunar module preparing for descent, a call came reporting an oscillation in the backup steering system. They knew that this might force them to return to earth as soon as possible. If the systems failed, the Apollo 16 and her crew would orbit the moon forever.